CARLSBAD, Calif. and PENNINGTON, N.J., May 14, 2014 /PRNewswire/ – Great careers in strong, fast-growing industries are available even if you don’t have a Bachelor’s degree, says the annual CareerCast report on the best jobs without a college degree. Among the best professions on the list are Carpenter, Computer Service Technician, Dental Hygienist, Hair Stylist and Registered Nurse. Studies show that earning a college degree will lead to a more rewarding career financially than if you never advance beyond high school. They also show that spending some time in college, such as for an associate’s degree, will pay off in higher earnings compared to having just a high school diploma. According to the U.S. Bureau of Labor Statistics (BLS), the average median weekly salary for a worker without a degree $651, compared to $777 for those with an associate’s degree and $1,108 for those earning a bachelor’s degree. The tradeoff is that a college degree can be costly — the average cost for a four-year degree ranges from $40,000 to $160,000, according to the College Board. Self-employment also is a promising path for several of CareerCast’s top jobs without a college degree. 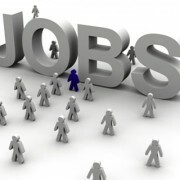 The U.S. Department of Commerce reports that more than 22 million Americans are self-employed. The highest growth industries for self-employment include automotive repair and personal grooming, and for those who are trained or have experience as automobile body repairers, hair stylists or skincare specialists, the opportunity to thrive as business owners is significant. Though college degrees aren’t required for these jobs, they do require specialized training. Individual states have licensing boards for skincare specialists and hair stylists, and specialty programs exist to help students learn the basics. Similarly, trade skills offer aspiring welders, automotive repair specialists, electricians and carpenters training to get started. Likewise, job seekers in the healthcare industry can get their start through associate’s programs in nursing, respiratory therapy and medical record-keeping.